In my kind of world, the summer is officially gone. The weather is still hot, but I feel early autumn in the air. Which is nice. At least to me. I hope you are doing super well wherever you are! Expectedly, all his works were made of exquisite fabrics and I especially loved the casual prêt-à-porter in pretty silks. I've been in the mood for quality fabrics for some time, and after the visit I felt it even stronger that I so needed to wear more silks in my everyday life. I don't mean that they need to be high-end or designer fabrics, I mean, sensible quality for brighter ordinary days of a hobby sewist. So, I made these matching separates with a lustrous silk with embroidery pronto. I know this fabric must be too colorless to say it's dramatic, but I hope that you feel some specialness in it, texture wise. I used it up for these and I have no regrets about what I did! I've already got a few kind compliments from kin and colleagues on this set too... I after all and always love all consequences of the problem, that is another problem of my life, ha. I used Camilla camisole and Libby A-line skirt patterns from Tessuti. Thank you, Debbie, for mentioning Camilla in your comment on my last post! I really love this one too! Camilla needed much adjustments to fit my bodice probably because of the fabric I used, but there wasn't any complicated calculation or problem for fitting. Just did what I needed (I added bust darts in the side seams and redrew the neckline, took off some excess from armscyes, and shorten the total length to match the skirt) and everything was fine. 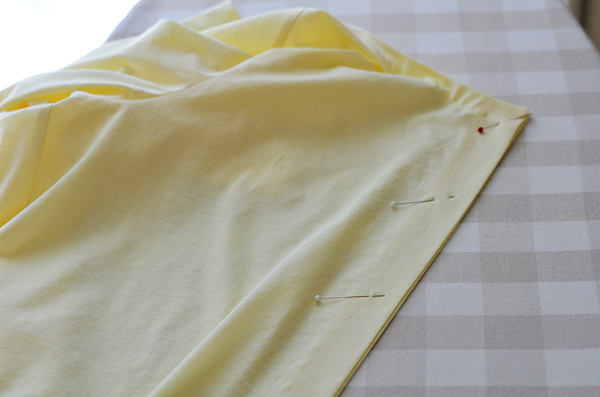 I'd suggest making muslins at least once if you would try this camisole with stiffer fabrics like mine. Chiffons or other fine fabrics may not need any alteration, I can guess. To Libby I added some extra flare-ness to the bottom hem, by 10cm or so. There was no problem with either of those patterns, except they needed quite a lot of pattern pages to print out. I've felt that their PDF layouts were not as much resource conscious as I wish. I hope it will be getting better in the future patterns eventually, because I really like all Tessuti's patterns that I own so far and this is my only concern about making new purchases from them at this moment. Lined with white silk chiffon, shortened quite much (by about 6cm), added bust darts for FBA, took off excess from armscyes. Lined with pale beige cupro fabric, long version, elongated the length of bottom hem circumference (by about 10cm) for adding a bit of extra flare in it.